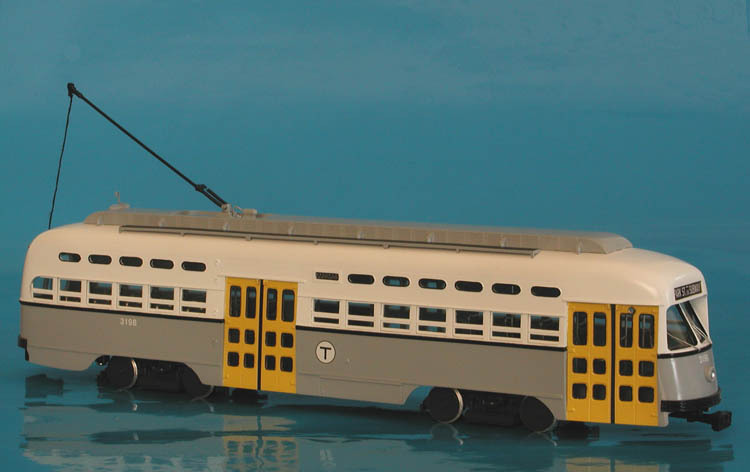 The Massachusetts Bay Transportation Authority was formed in 1964 and in 1966 it created a new livery of grey and white with yellow painted door. 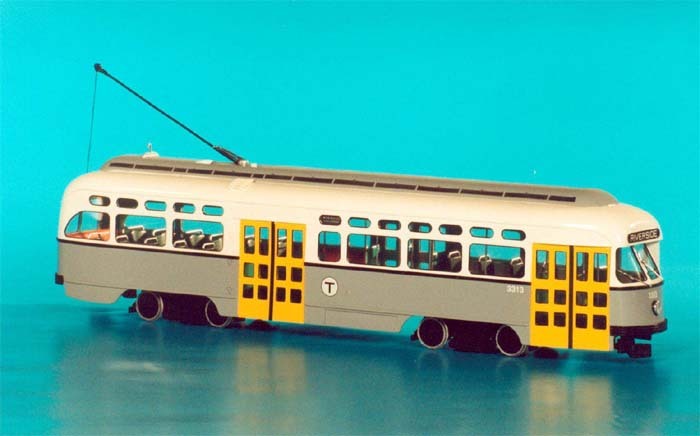 It was introduced on new MBTA's buses and also a few PCCs, include Picture Windows 3274,3277, 3282, 3286-87,3289, 3294, 3300 and 3313 were painted out in this way between 1966 and 1971. 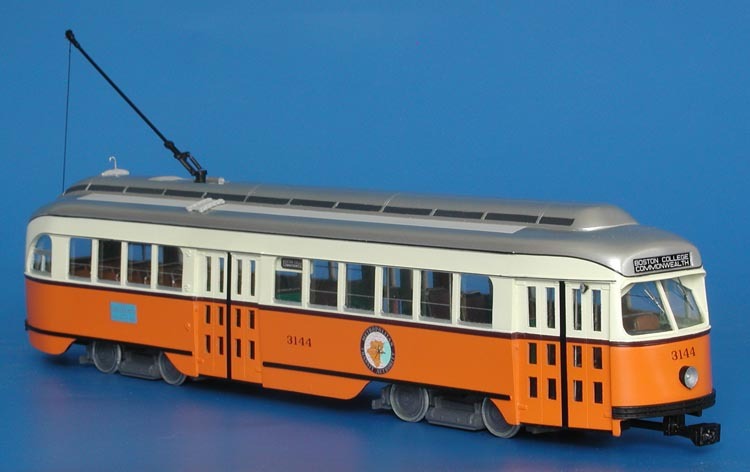 This paint scheme was short-lived and the Picture Window PCCs were repainted either the tangerine or green paint scheme. 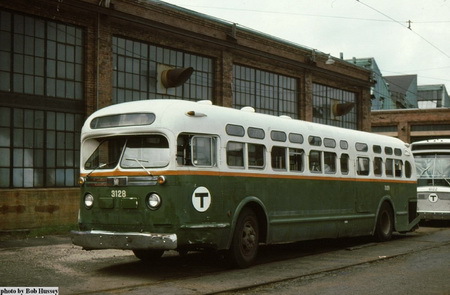 1957 GM TDH-4512 (MBTA Boston 3102-3152 series; former Eastern Massachusetts Street Railway). 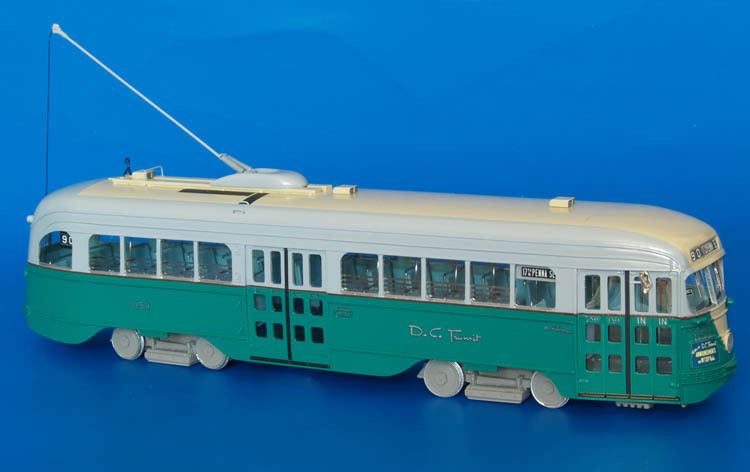 1938 Washington D.C. 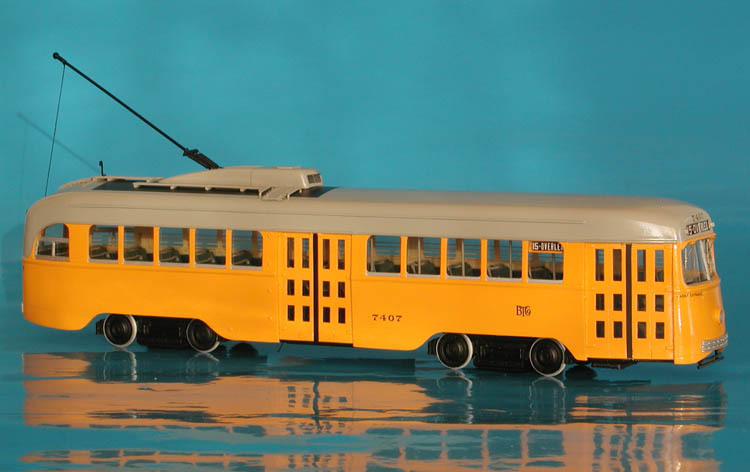 Transit St.Louis Car Co. PCC (Job 1614; 1146-1195 series) - post-1956 livery. 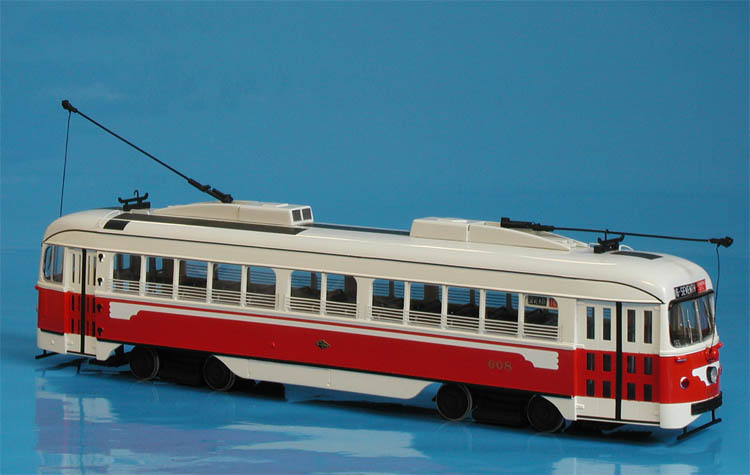 1946 Massachusetts Bay Transportation Authority Pullman-Standard PCC (Order W6710; car 3198) - MBTA Gray/White/Yellow livery.